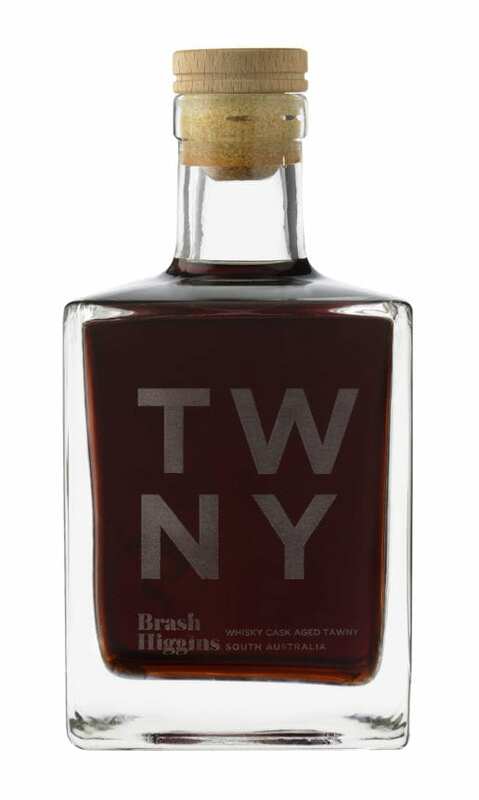 The Brash Higgins ‘TWNY’ Tawny port has a base age of 18 years old now, aged in a solera begun in 1999 from amazingly complex 25 year-old Macallan whisky casks. Originally used for Spanish Oloroso sherry, the casks were filled by Macallan in 1975, at a time when the distiller was known as the “Rolls Royce of single malts”, and cared for by famous Aussie whisky connoisseurs and commentators, Steven Matthews and David Le Cornu. After this celebrated whisky was bottled in South Australia, it fetched 1000’s of dollars per bottle on the auction market. Rumour has it there are still a couple of bottles left. It was at this time that Matthews, and his close friend Niggles, usurped the empty, character rich casks and filled them with a light, fruit-forward Tawny they sourced from a very reputable SA producer who has asked to remain anonymous. Sadly, Niggles passed away shortly after the solera was begun. Brash picked up the project with Steven after they became friends training to hike the Kokoda track in Papua New Guinea in 2008. Currently the ‘TWNY’ solera has grown to include a whisky fife that held another celebrated fortified in it for 80 years previously. 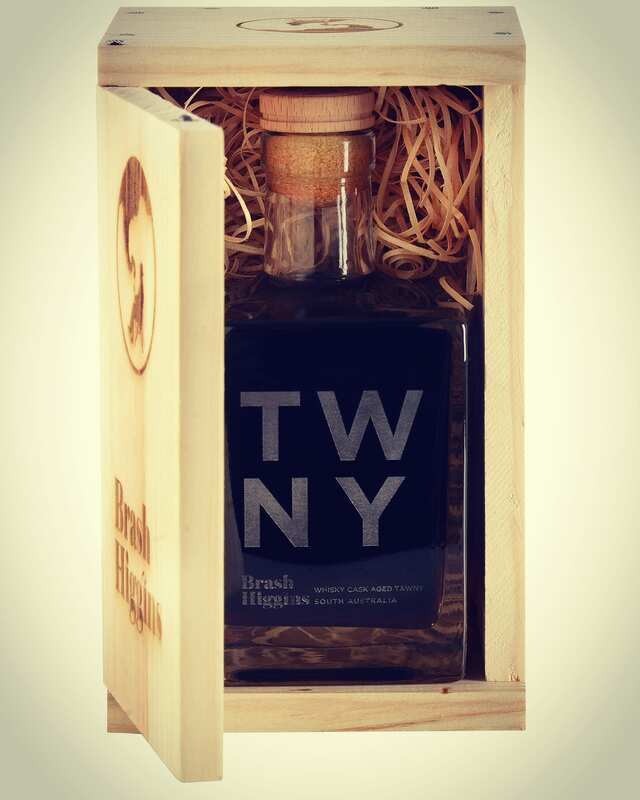 Super Limited, only 100 beautifully etched bottles, numbered from 1 to 100, and shipped in handmade, wooden branded boxes, make up the second batch. Let us know if you just want a single bottle, we can work out freight to you if you give us a call. “Mahogany colour and espresso like nose. Deep flavours of caramel and malt on the palate from the previous whisky inhabitant, with orange peel acidity keeping it all lively followed by a extended, lip-smacking, hazelnut finish.” Brad Hickey, Vinitor, August 2, 2016.